Housebroken: No, but I’m working on it! I wear my “man pants” (aka belly band) inside until I get this “outside” thing down! Hi, I’m Marvin, a happy puppy looking for my forever home! I’m still trying to figure out toys, but I like to play “push” with my foster pug sibling. I’m not much of a cuddler, but I love to be petted and if you give me kisses, I’ll happily return them! My other favorite activities include going for car rides and being outside. 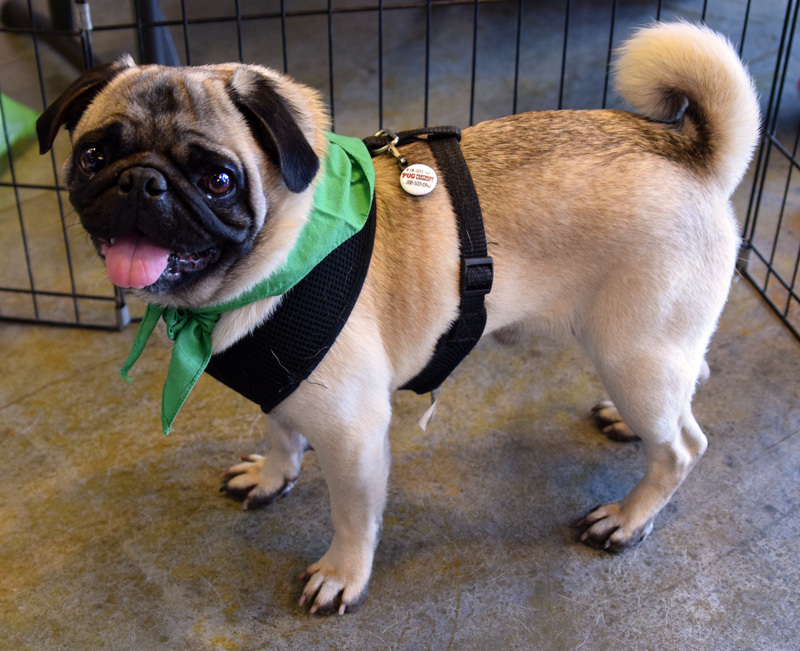 If you’re looking to add some puppy energy and joy in your home, I might be the pug for you! Interested in adopting? Marvin’s minimum adoption donation is $400.